Properly managing client expectations is very important. It can also be somewhat draining, especially if some of your clients have many, many expectations. This is even more so if some of those expectations appear unreasonable at times. However, the saying “The customer is always right” may not really apply to many aspects of business. 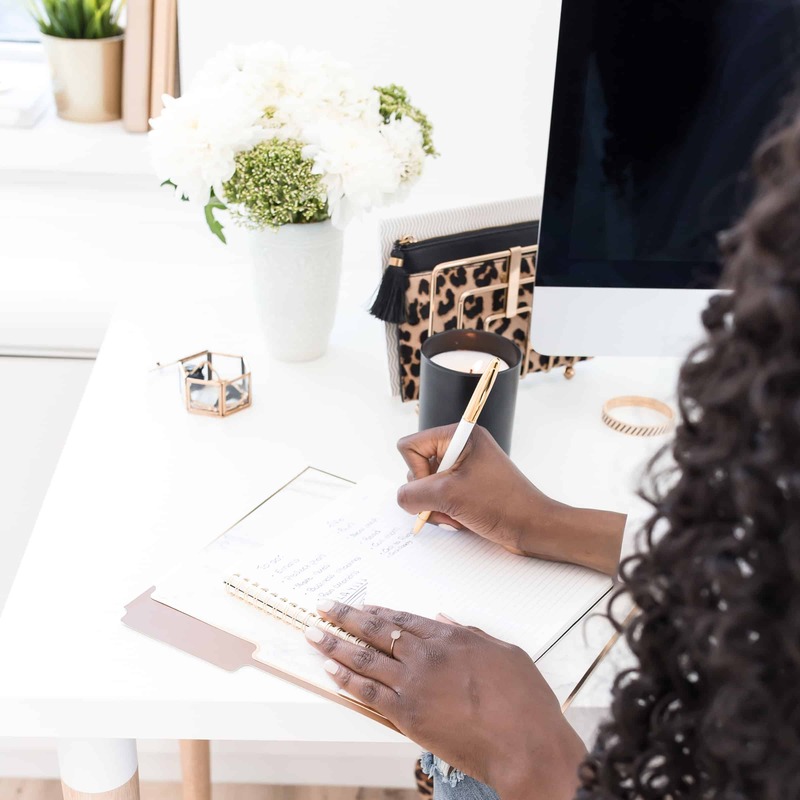 If you want to maintain the integrity of your brand to your clientele, it is important that you take their opinions, requests and expectations into due consideration at all times. When clients seem dissatisfied with your business, most of the time it’s due to them having a different view or expectation of your services. The hard part about expectations for businesses is that many clients can be terrible at communicating them. This in turn leads to needless misunderstandings and bad transactions. The power of a happy and satisfied client cannot be overstressed. And how you ensure your clients remain satisfied goes a long way to determining how successful your business will be. Effective management of client expectations will make them view your brand as strong, reliable, competent and sensitive to their needs. This can also get you more client from raving referrals your clients will share. In today’s business landscape, client acquisition and retention are largely dependent on reputation. Therefore, delivering high-quality services and meeting client expectation is essential for the growth and success of your business. 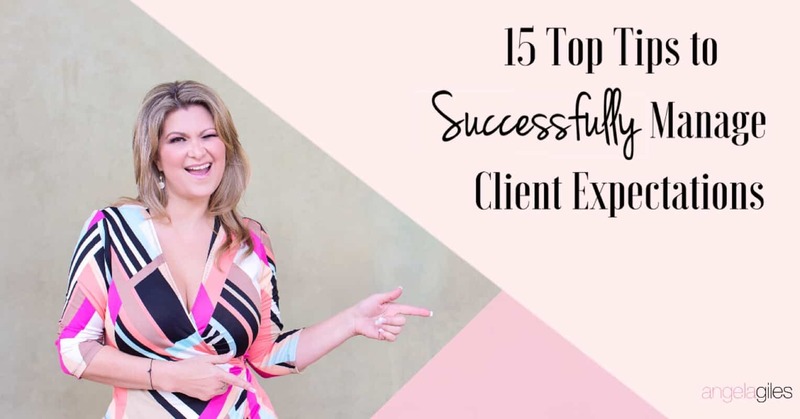 I will share 15 top tips to help you successfully manage client expectations. These tips can be incorporated into the fabric of your overall business model to ensure they are perfectly executed in all departments. One of the quickest ways to lose clients is to lie to them. So it’s better to tell a client something they don’t want to hear rather than lie. For example, let’s say you will miss an upcoming deadline. Of course your client will not want to hear that. However, missing the deadline and lying about it is even worse, especially if they could have made adjustments to lessen the impact. They will also doubt your word in the future. And becoming a ”yes man” just to win clients will make you lose them faster than you expected. Whether someone is a potential client or already a current client, ensure you honestly communicate the services you can and cannot offer. Be sure they understand. This helps ensure everyone is on the same page at all times. It will also give them a clear understanding of your brand and help shape and reshape their expectations. This is definitely a top tip because your business literally depends on this simple factor. Understand that part of what your client pays for is peace of mind. To attain this, they may have a lot of questions along the way. They will want their questions answered immediately and effectively, so speedy email replies and phone calls should be a priority. Keeping them in the loop without them needing to ask a lot of questions is also helpful. Remember, a calm client is a happy client. Business people love working with people they respect, but also know on a somewhat personal level. While you want to remain professional in your client dealings, also relating with them on a personal level makes them care more about you and your brand. Get to know your client as a person, what they do for fun, how they spend their free time and where their interests lie. Once you understand these, you will have a better picture of what excites them and you can easily incorporate this knowledge into your business relationship. Many business owners love to dodge certain tough questions by changing topics or ignoring clients. Keep in mind that no one can handle your clients better than you. Although it’s certainly fine having trusted staff help handle things for you, or at least act as the gatekeeper and solve the less serious issues. You and your team should be well-able to address their concerns directly and effectively. Good client-vendor relationship will be strong enough to weather the rocky times only if you remain proactive and consistent in the ways by which you address their needs and problems. Keep in mind one of the best indicators of how fabulous a company is can be how they handle a problem. Many companies can seem great when it’s all going good. But it can be when things go wrong that a company can really shine. 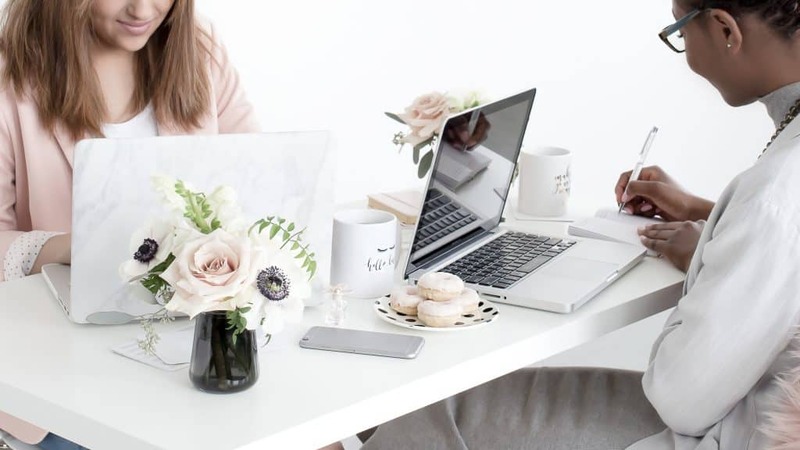 Consider creating a scope of work with all of the important details, ranging from budgets to metrics that show you met a goal. Ensure they agree on the terms. This will show transparency and will help eliminate difficult conversations in the future. 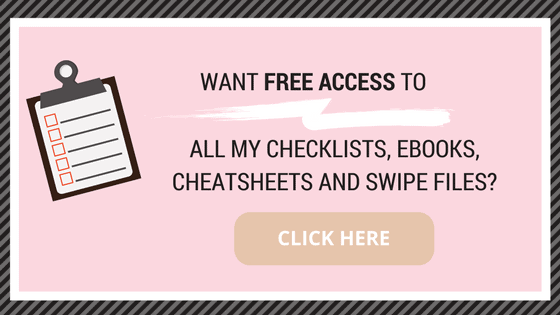 Get access to “Cheatsheet: 15 Top Tips To Successfully Manage Client Expectations” by joining our Free Resource Library, just click below! Business owners can get obsessed with keeping the client happy at all times (again, like the client is always right). While a brilliant strategy, try to remain realistic. While it is advised that you remain optimistic for the sake of your client, not being realistic can set the wrong expectations in their minds. A quick tip to achieve this is to explain in detail and give your clients a clear view of what to expect from a particular project. Show them all the outcomes including the ideal and not so ideal. That way, if anything goes wrong during the transaction, they won’t be surprised and may not blame you for the mishap. We cannot over stress how important it is to keep your clients in the loop. A lack of information can cause panic and mistrust in your brand, especially if they feel their expectations are not being adequately met. Even though your clients may not request progress updates, it doesn’t hurt to send short mails with the state of their project and what you are doing next. This goes a long way to reassure them that their time and money is being put to good use. It also lets them feel like they are a part of the project. It may head off misunderstandings and may also relieve you from future liabilities. In case of any confusion, you can always refer back to your weekly (or monthly) updates and emails. As we stated earlier, relating with your clients on a personal level increases their trust in your brand and helps you figure out their expectations. To help keep clients happy, you may have to put yourself in their shoes and try to understand their concerns on a more human and personal level than a business one. In simple terms, don’t treat your clients like just a number, they’re a person. Managing their expectations is mainly based on treating them how you would want to be treated. Remain kind, approachable, considerate and emotionally intelligent. Of course, remain professional as well. It’s all about balance. We know you want to tell your client what she wants to hear, so they’re happy. But in most cases this isn’t the best approach. When you tell a client “we might be able to achieve that goal in two months,” all they hear is you can get the job done. So you have to give you and your team some room for unexpected occurrences and mistakes by under promising. This sets their expectations at a comfortable level. It also gives you room and freedom to exceed their expectations. This approach works as clients love to be surprised with more value than what they envisioned. On the other hand, if you give yourself an unrealistic deadline you end up disappointing the client. You also lose some of their trust. If you run a business that takes a while to show results, avoid month-to-month contracts. It’s critical to the success and reputation of your brand that you take the time to explain in clear terms how long it takes for your company to achieve certain results. This way, your clients are well aware of the timeframe and will cushion their expectations accordingly. For example, if you offer SEO consultation services, monthly contracts aren’t in your best interest because SEO can sometimes take months. It’s like offering a product that takes 90 days to see results but only offering a 30 day refund period. This tip definitely takes some practice. Sending encouraging emails to your clients after a while to help keep them calm and in the loop. Imagine you were your client. Think about at what stages of the project might you get nervous and love an update. Plan to be ahead of those things for your client so they keep great trust in your brand. It will also help reduce the number of emails with questions they send you. Sometimes clients are unsure of what they want or they simply are not good articulating what they need. You need to put all your listening skills to good use and decipher what is not being spoken. You must possess excellent listening and intuition skills to identify the important messages not being communicated. A great way to compensate for clients who do not communicate well is to repeat what they say and ask for confirmation of the key points. This will also help shape their expectations of your company. Not being open and clear about budgets from the beginning can cause problems in the future. This can even ruin business relationships in some cases. When starting a project with a client, you must be very clear about the budget and what it will take to complete the entire project. You should also have future conversations about the budget as your project proceeds, especially if there was an unexpected expense. When you offer helpful advice, input and direction to your clients, it makes them feel like you are looking out for them. This also helps builds their trust in your brand. Clients need an unbiased, objective opinion and many times that can be you helping. This can be even more true when you are working with clients who have more than one decision-maker and they don’t agree on something. To sum it up, your ability to effectively manage client expectations will depend largely on how well and often you decide to communicate with your clients. Have plans rather than leave things up to chance. And if you keep in mind what you want and expect as a customer, that will help you better serve your clients and meet their expectations. These are all great tips. My husband works with clients all day long and his biggest asset is his ability to be super human with them. They so appreciate it and feel a sense of safety and trust with him. I also thought avoiding monthly agreements is great because it gets you thinking about a realistic calendar for delivering results. Everything can’t happen overnight, even when we want it to. Wow! Great tips! Communication in everything is so important especially when it comes to managing client work. Love this post! Listening and communication are key is a business relationship, and honesty is always the best policy. When I recommend a product from Young Living, I like to share my experience with it in an honest way, and if I have never tried something, I just say so. I firmly believe in being realistic and clear communication throughout the entire process of dealing with a client. When I had my small cake business I did a lot of these things. It ensured that everyone was happy and the transactions went smoothly. 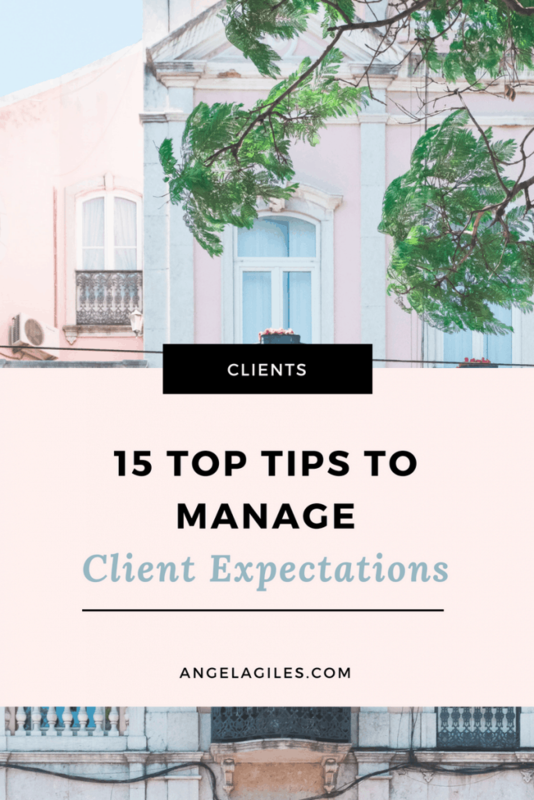 I love all these tips for managing client expectations. I use the underpromise, overdeliver method with all my clients. It’s so important to give yourself time to complete tasks effectively! I don’t feel like I can do that if I give myself a tight deadline/turnaround time. So, I usually tell my freelance clients that work will be done in a week or more so I have time to dig into the content to provide the best content. 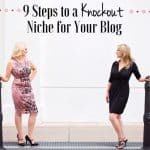 These are great tips and I agree with all of them – I’m particularly fond of #9, I think it’s one of the best things you can do as someone who serves clients! Thanks for this list! These are some great tips I think being honest really is such an important thing, if things go wrong they can be forgiven as long as someone says hey sorry. This is an excellent post. I have to say I think not lying and being clear with expectations and budget are my top priorities. I agree with all your points but had never really stopped to consider that there was so much to it before. I think in some cases it’s the client as well as the owner that can be terrible at communicating expectations. I think honesty and attempting to be a clear communicator as an owner, possibly with examples will help get our ideas across. It’s a struggle for sure. I think honesty and being true to self are really important. I don’t have to deal with any of this but I’ve had to in the past and it’s a bit of a challenge to figure out what clients want if they aren’t sure themselves. Communication is key here. Communicating well (including actively listening) is key to all parts of life but especially business. Being clear, thorough, and timely with your correspondence will make the relationship better for everyone involved! I’ll be sharing your post with my husband, as he deals with clients quite frequently. The closest thing I do to working with clients as an elementary teacher is parents, but much of this great advice can still be applied! These are great tips for dealing with people in general. I like how you noted that you often have to act as “counselor.” I think this is good to be aware of, and is definitely a good thing to practice. Wow! Great tips! Communication in everything which is so important. I agree with all your points but had never really stopped to consider that there was so much to it before. Why thank you Veronica you are super sweet to say that! These are such great and useful ideas. Client management is so very important to grow your business. These are fantastic tips. I honestly believe that communication and be honest are so important for handling our clients. 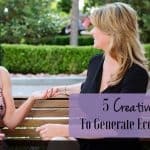 Great info on how to have a relationship with clients. I know its business but you gotta be human with your clients too.